While working on the game design stuff I’m using my spare time to get more mileage for my character art. My goal is to return to sequential art soon. 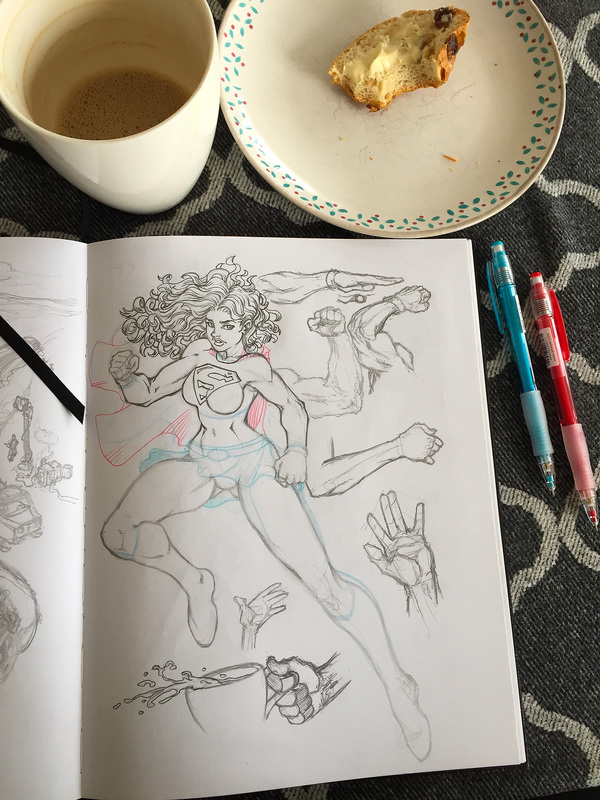 This image is showing another page from my actual sketchbook featuring my quick version of Supergirl. Tested my new Faber-Castell TK-Fine Vario L 0.3/0.35 pencil during my coffee-break and I love it! You really can get in all the fine details you want. Not only do I want to show clean-up work here, but I also want to give some insight into how I practice and show how dirty sketches look like. I am convinced that every artist has endless sketchbooks on his shelves that are full of junky sketches. Therefore, my advice to all draftsmen out there: Just draw a lot and quickly with courage to the gap. Only because of your mistakes do you learn to become better. Ultimately, it is only important to recognize the mistakes so that you can improve yourself with a little more effort. 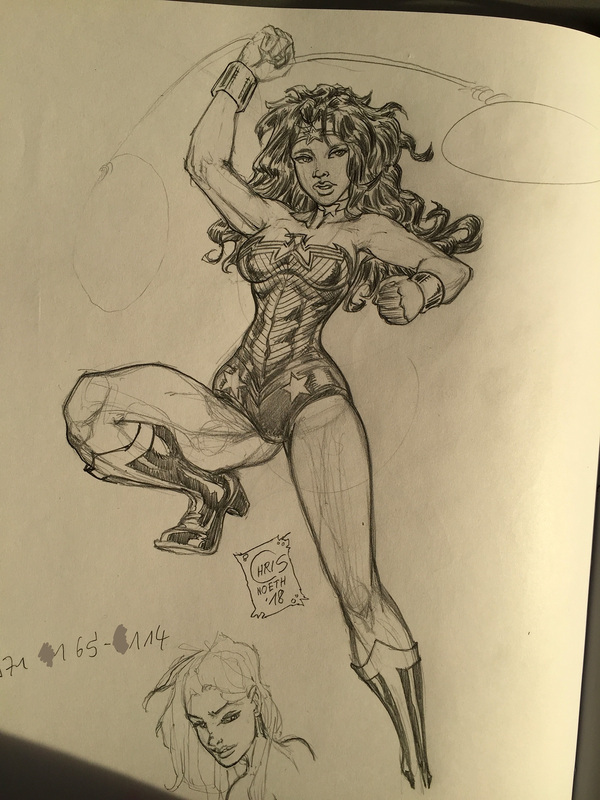 But you do not need that in the sketchbook … it’s enough to recognize the mistakes and jump to the next sketch. BTW: Wonder Woman’s pose inspired me to do the Captain Future pose from the last post. 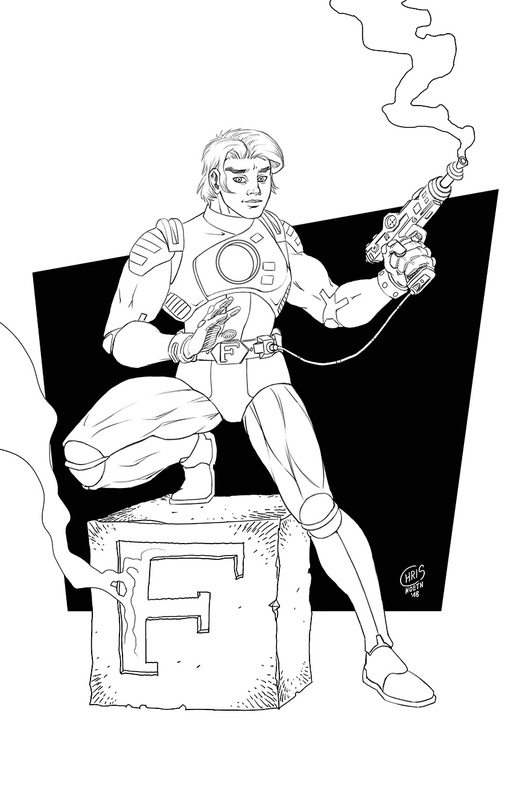 I had to create some new digital pencils and inking tools in photoshop today and after reading about a live action movie about Captain Future in the works I had to test the new digital tools on a fast piece of the Captain… the hero of my childhood. I’m not so happy with the inking tools I have created yet, but the pencils (which you can’t see here) are working great! I wanted to color this too but the kids got sick again and I have to finish some more important stuff today also… so you get the B&W version only. 24 hours a day is never enough! Can’t wait to see the Captain in action again and this time not as an anime! 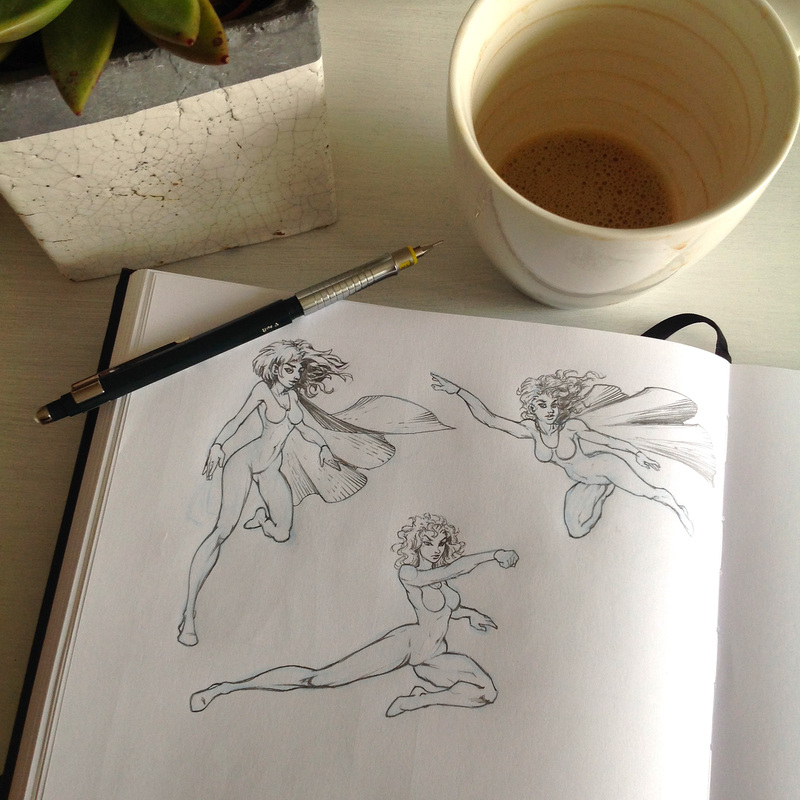 Don’t forget to send me your character sketch suggestions (see last post!) for a chance to see my interpretation of your favorite character. Here you can see another character from McPeppergames adventure game concept which is supported by the FFF Bayern. I do a lot of the character designs during the day right now. I will only show a small part of the designs here, mainly because I don’t want to get this out too early… just enough to give you the basic idea of the game. I realized I did not many existing character fan art in the past, like for example on my old DeviantArt page. I will change this here on the new blog. So if you want to see me draw a fan favorite character of yours, just drop me a line and I will see if I can fit it in here between the other stuff. Here you can see some game concept art from “The Bats and the Secret Society of the Feathered Serpent” a game concept I’m working on right now. The images are showing one of the two main characters from the game. The game will be a Point’n Click adventure for all ages and it is financially supported by the FFF Bayern (FilmFernsehFonds Bayern). and the beginning of my new blog and journey as an artist is right here. Long story short … After years of anonymous work in the game biz with a few small side trips to the field of comics and illustration, I would like to start with this blog a small platform for my current and new projects. Since my heart beats for sequential storytelling, I mainly want to post illustrations, drawings, and things related to comics and graphic novels. But since I also develop game projects independently, there will be some news here as well. The first step will be a preview video for my upcoming game COLOR DEFENSE, which is already available as an Open Beta for Android for download on Google Play and will be available on 28th March 2018 for all iOS devices as a pre-order game. If you want to support me and the blog, please play the game and tell your friends about COLOR DEFENSE and of course this blog.